The new MINI will be presented on Sir Alec Issigonis’ 107th birthday: Oxford. A new era of driving excitement, in-car-infotainment and premium quality in the small car segment is drawing ever closer. 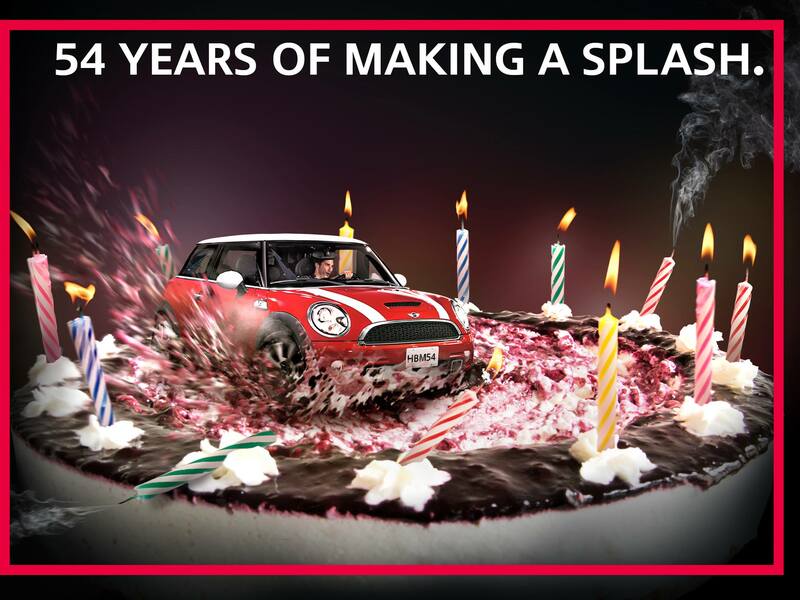 The new MINI will be unveiled on 18 November 2013, 107 years to the day since the birth of the man who started an automobile revolution, Sir Alec Issigonis. MINI Plant Oxford will host the world premiere, with a party in London that same evening. The new MINI will also have its exhibition premiere in front of international audiences that same week, with an almost simultaneous unveiling in Los Angele s and Tokyo. On 20 November 2013, the limelight will shine on the new star of the premium small car segment, first at the Tokyo Motor Show, Japan, followed just hours later by the Los Angeles Motor Show in California, USA. The new MINI will go on sale in the first quarter of 2014. Born in Great Britain, built in the best tradition. Just like its predecessor, the new MINI will be produced in Oxford. The start of production and the world premiere will mark additional highlights in a jubilee year for the MINI Plant, where automobiles have been built for more than 100 years at the historic Oxford location. The world premiere will pay tribute to MINI’s origins and the creator of the original icon. 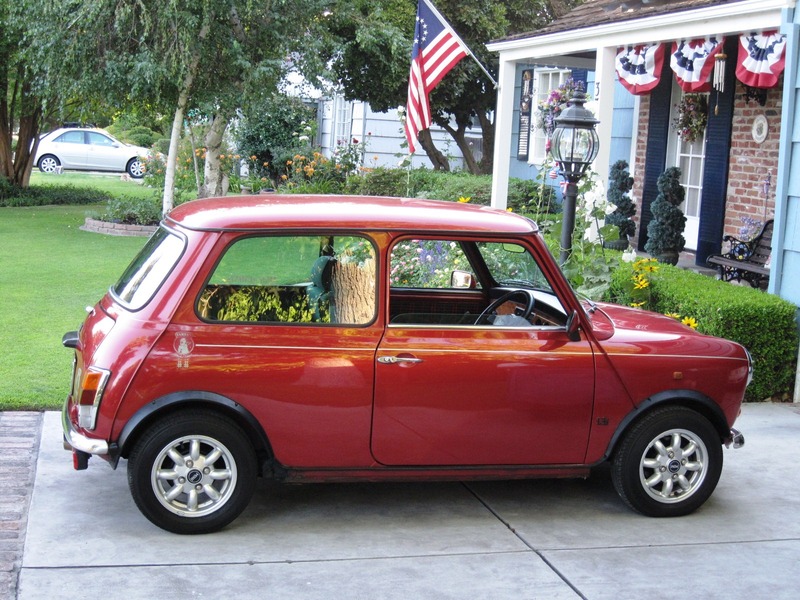 With the introduction of the Mini in 1959, Alec Issigonis revolutionised the automobile industry. A transversely mounted engine, front wheel drive, wheels set in all four corners and an advanced undercarriage not only delivered unparalleled cabin space for passengers and luggage on a small footprint, but also exceptional driving agility. 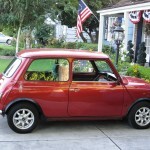 The concepts Issigonis introduced in the Mini became the foundation for many generations of small and compact cars. In their most modern form, those principals will continue to live on in the new MINI. Completely new engines and chassis technologies, MINI Connected innovations and refined premium quality will make it the new benchmark for driving enjoyment in its class. Tip of the hat to Jeff for letting us know this was coming. You can also learn more about the show over on their Facebook page. 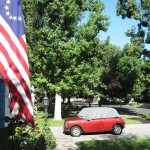 It was Octoberfest in September when MidCal MINIs held their monthly meeting on Friday, September 14th. 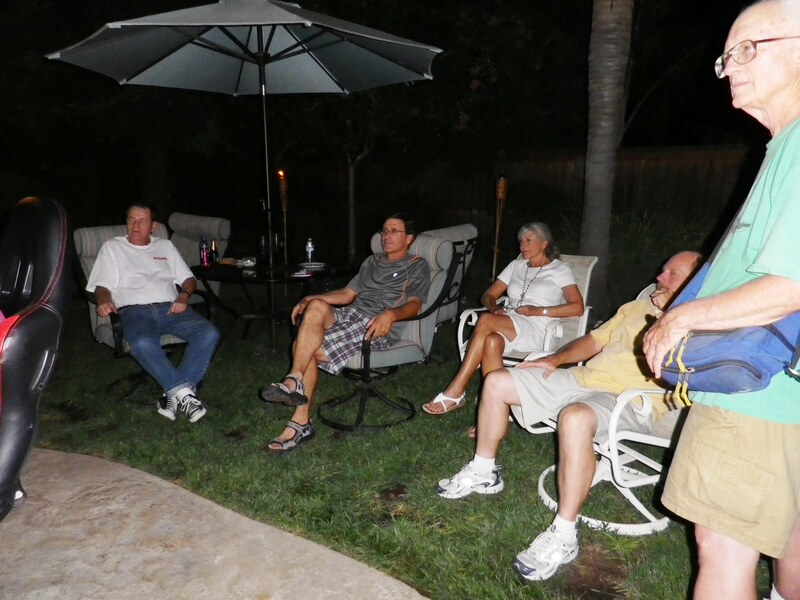 This great Oktoberfest themed meeting was hosted at the home of club members Jon and Joanie Brothers. 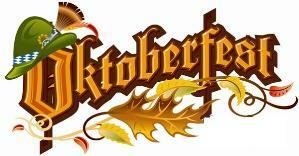 This fun-filled event included a Barbecue Bratwurst meal and a beer tasting contest. But the highlight of the evening was three racing simulators from the RaceRoom. The “RaceRoom” in River Park. may just be the next best thing to real race car driving, but the simulators at the Brother’s home was a close second. The simulators are popular throughout Europe and the Fresno location is the first one in the United States. The simulators let players pick their own race route, and offers dozens of options when it comes to the color and model of race car picked. 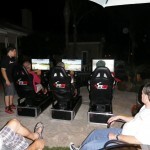 The RaceRoom simulators offered extraordinary entertainment for the MidCal club members. With daring overtaking manoeuvres and hard fights for position in each game the evening guaranteed the ultimate adrenaline rush. 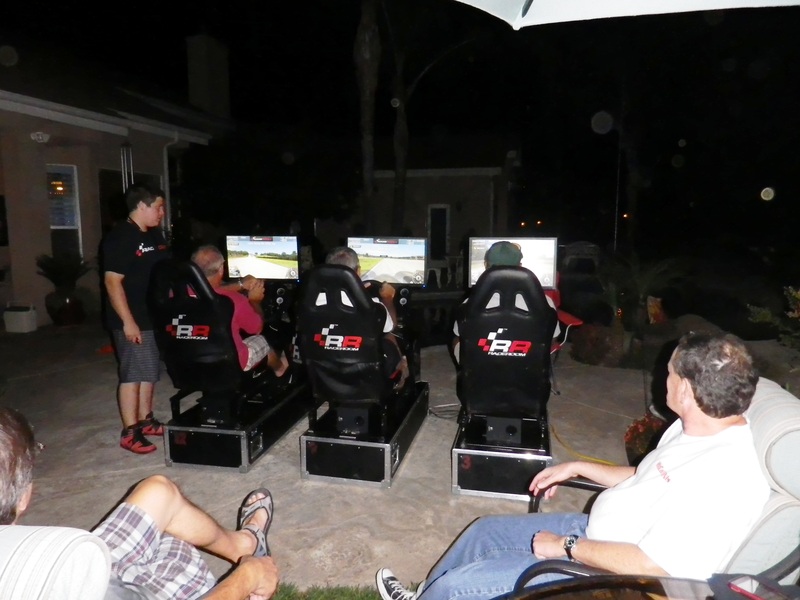 Besides the thrilling virtual racing, the Oktoberfest atmosphere gave MidCal members the opportunity to relax in between the driving adrenaline kicks with food and beverages along with discussions of the ideal racing line and optimal driving techniques. Race bucket seats and high-end steering wheels, integrated with a widescreen display system and immersive sound catapulted the players straight into the world of racing. Thank you Jon and Joanie for a great evening and for putting this super event together. 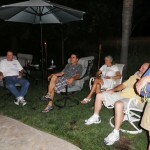 For more pictures of MidCal’s Oktoberfest click here. Just like a human baby, it took nearly nine months for Reggie to come home, and home he has come! 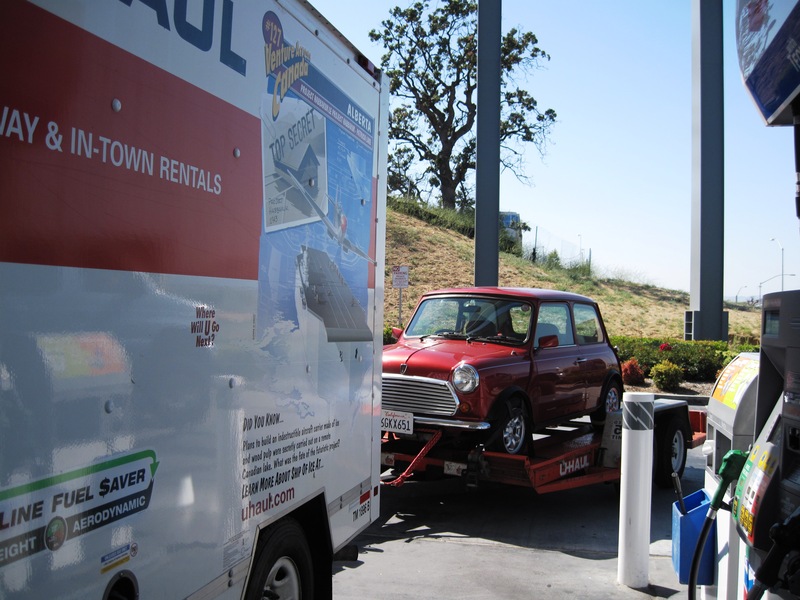 With a new lease on life, our little 1995 Rover Mini has hit the roads again. Auto House of Clovis did not give up when Reggie tossed obstacle after obstacle at them. 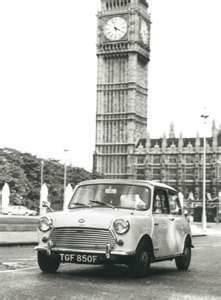 The extremely rare little Mini, built in England for export to Japan, has an automatic transmission which needed a great deal of work. Finding Rover shop manuals for a Japanese automatic transmission proved to be quite the challenge. I spent countless hours on the internet and on both the US and UK Ebay sites looking for relevant information. With help from Steve Phillips, out of print books ordered from the United Kingdom and internet downloads, as well as calls by Darryl to JPak in England – Auto House and Darryl and his team spent countless hours diagnosing Reggie’s issues and convincing the little car to, as Austin Powers would say, “Oh behave”. Sir Reggie is motoring about Fresno these days and is quite happy to be doing so. His driver side seat (right hand side, by the way) was rebuilt and new chrome rings around his headlamps were added. His boot was lined and reproduction wicker baskets which were located on Ebay add the finishing touches to his interior. 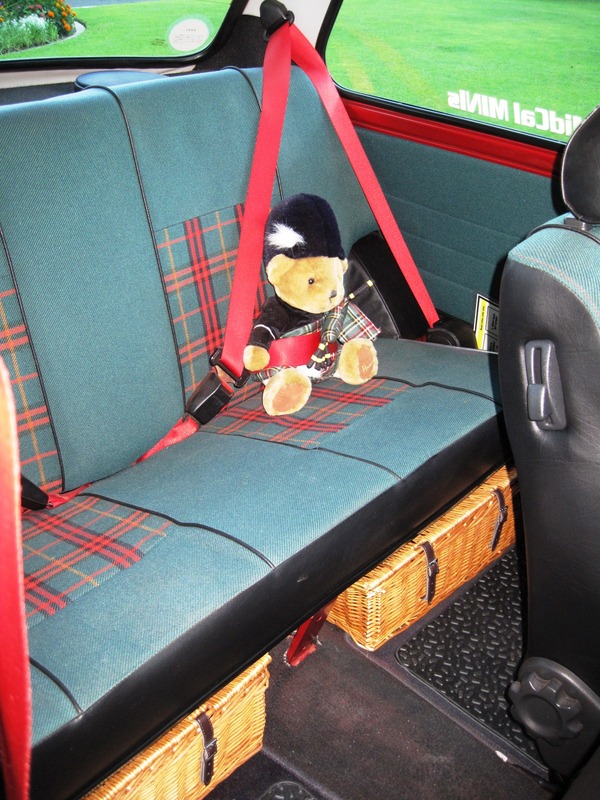 His also has a constant back seat driver in the form of the Scottish bear from Harrods, the large department store in London. Over the next few weeks Reggie will be getting bonnet stripes and his doors will be repainted. Just a small amount of rust was found at the bottom edge of each door but no other rust was found anywhere else. 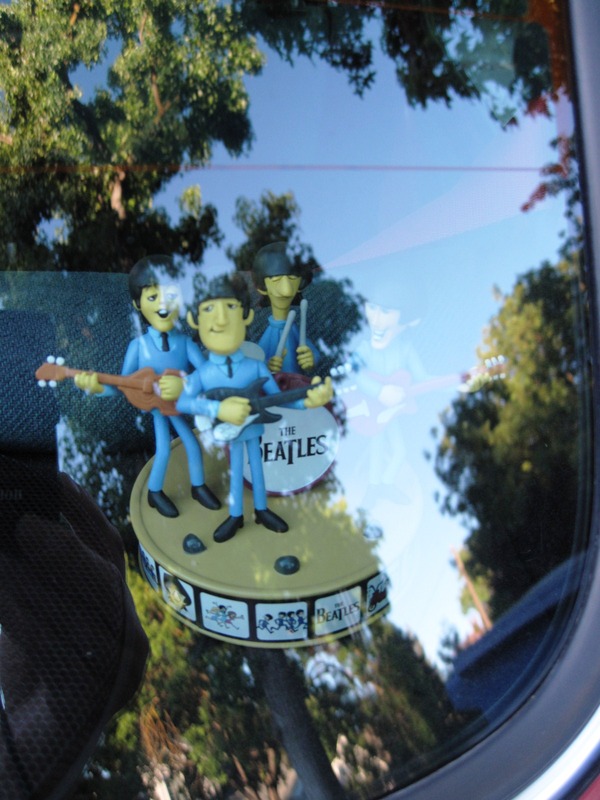 Reggie came complete with air conditioning which is a must for the hot summers of Fresno and true to the Mini’s early 60’s heritage, Reggie loves the Beatles. 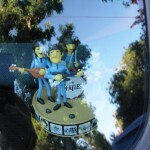 In fact, his rear window sports the Fab 5 and his CD player just cannot get enough of the Beatles. From Ebay last year in June, the trip from La Jolla to Fresno on a car hauler in July 2011, the “hospital” stay with Darryl and team at Auto House in Clovis and finally home, Reggie has been well worth the wait. He appeared to be well cared for in his original home in Japan and he will be much-loved and cared for in his new home here in Fresno. 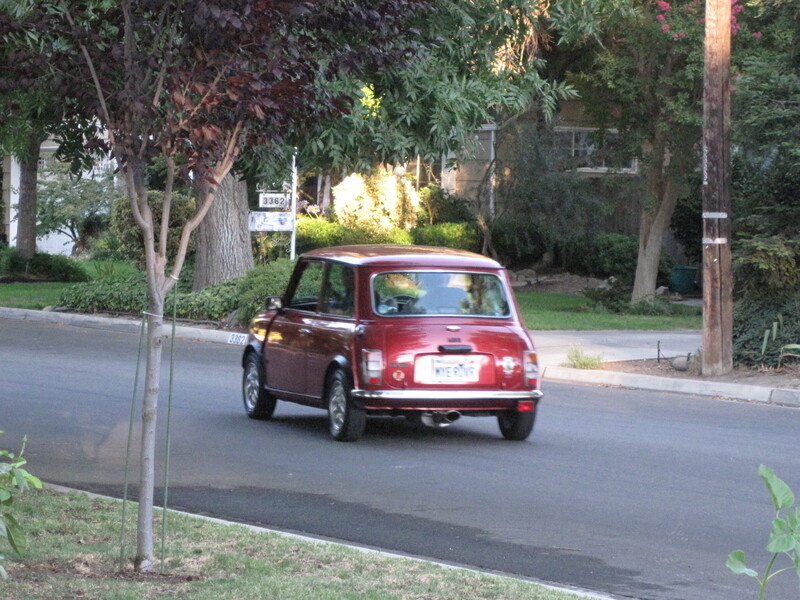 This little car has been quite the traveler since it left Longbridge in England in 1995. If only it could talk and tell us all the sights that it has seen and the places that it has been, what a story it could tell. So if you happen to see Sir Reggie motoring about town, a simple “cheerio” will do. July 4th update - It would appear that Reggie had a tummy ache yesterday; not surprising due to his recent major surgery. All was going well when he suddenly began spewing oil everywhere. He left a tale, tale trail nearly a block long. The gasket around his oil filter gave out but he waited until he was just a few blocks from home before losing total control of his fluids. He made a real mess of the garage and spent the 4th of July being fixed. A new gasket a few quarts of oil and he is once again back on the road. 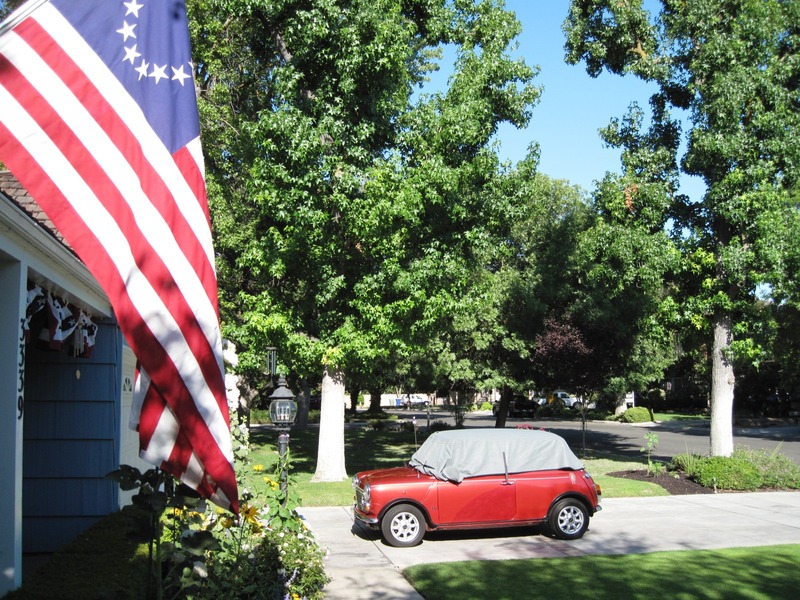 Speaking of July 4th, even cars get hot, so protect yours; don’t forget your MINI’s sunblock. Once again there’s another Sunday Motoring Breakfast drive planned for Sunday April 15th. 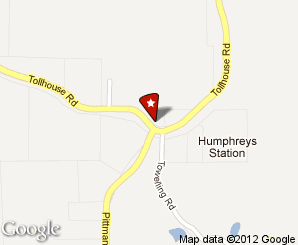 Those interested will be headed back to Humphrey’s Station again for some more of their great food and hospitality. Please get in touch with Firebro 17 (Jon) before Wednesday April 11th, so that he can get a rough head count for the restaurant. As before, the group will depart from the Starbucks, located on the Northwest corner of Clovis and Herndon, at 8:30 am sharp. RSVP to Jon by logging into the Forum (in the Discussion area) for contact information. A recent story by Steven Reive, feature writer with Wheelbase Media caught my eye. 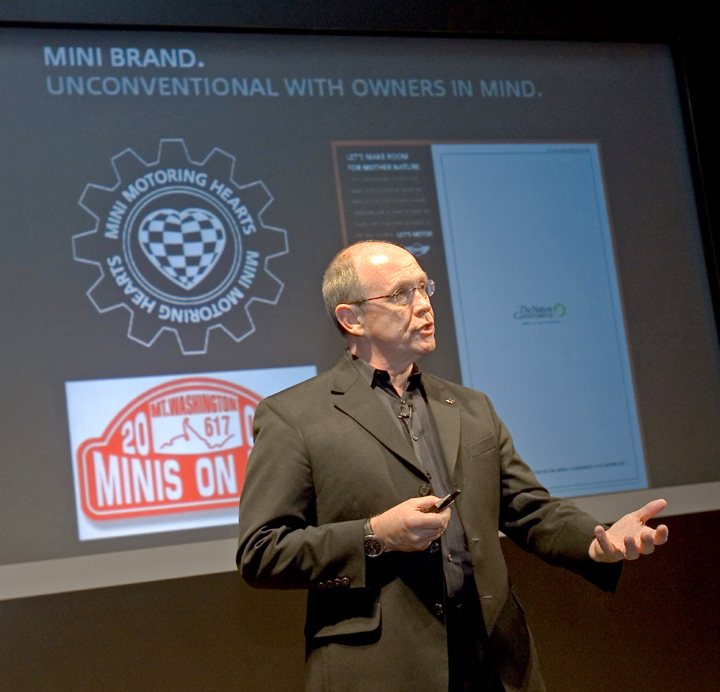 Why you say, one guess; it was about MINIs or more precisely about Jim McDowell, Vice-President of MINI. The following is an excerpt from the full article. 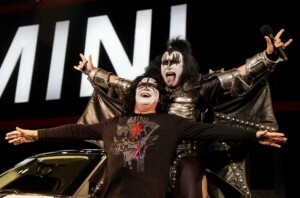 “He’s proof that automobile big business doesn’t have to be all business all the time. That fun is actually part of business and, in fact, having fun means a better business. Who is the guy who believes that a day hasn’t been a good day if you “haven’t laughed at the bottom of your lungs at least five times.” Or try the guy who believes a recent romance film about two people intensely in love is “an inspiration, unlike any movie I have ever seen.” Or how about the guy who enjoys reading books about the construction of New York’s Penn Station subway, loves developing talented young workers and demands that people be polite? Meet Jim McDowell, Vice-President of MINI, BMW’s little brand that just can’t stop selling lots of cars. McDowell puts the “e” in eclectic and the “e” in electric. 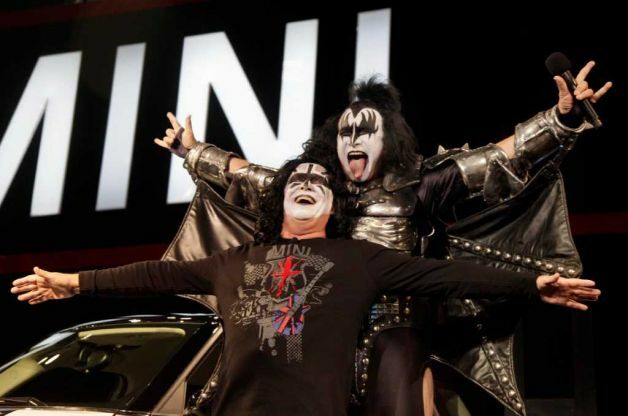 And isn’t it perfect that a guy such as McDowell is directing the future of the brand that epitomizes the word fun in the auto business? Never have two groups been so perfectly aligned. 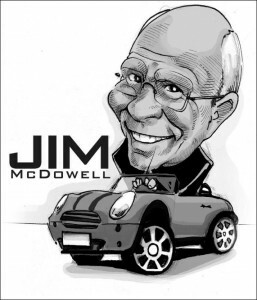 Jim McDowell is the lightning rod for a hot product. Sales are sizzling, new products are on the way and McDowell is steering the ship. Not bad for a guy in his late 50’s who has an advanced degree from Harvard University, wears Hawaiian shirts to the office and cherishes his big break in a business he never dreamed he would be part of when he joined Porsche in 1985. “I had been working as a corporate planner but never alongside the CEO in such a fun industry.” McDowell told Automotive News. “It hooked me on great German cars and also showed me how fun the industry could be.” Eight years and many interesting lessons later, McDowell helped turn BMW into a must-have on North American shores as the self-proclaimed “ultimate driving machine.” He was named a “Marketer of the Year” in the United States. Ask any owner and they will tell you the MINI experience is much more than the car itself: it’s a culture you become swept up in, it’s an attitude. The icon was established and it was McDowell’s job to push it right to the edge by pushing buyer’s hot buttons. Just before New Year’s Eve, as I was about to head to LA for a visit with my extended family, MINImowse decided that she was not too happy about being left alone to celebrate the holiday. While I could not understand her angst with me since she would be with her big brother Coopster, she still insisted upon letting me know how she felt by leaving drops of antifreeze on the garage floor. It wasn’t like I was driving her to LA in the cold damp fog over the Grapevine as I had been planning to take the train from the very beginning. I was leaving her snug in her garage complete with a night light no less. Maybe she was mad because I wasn’t taking her? 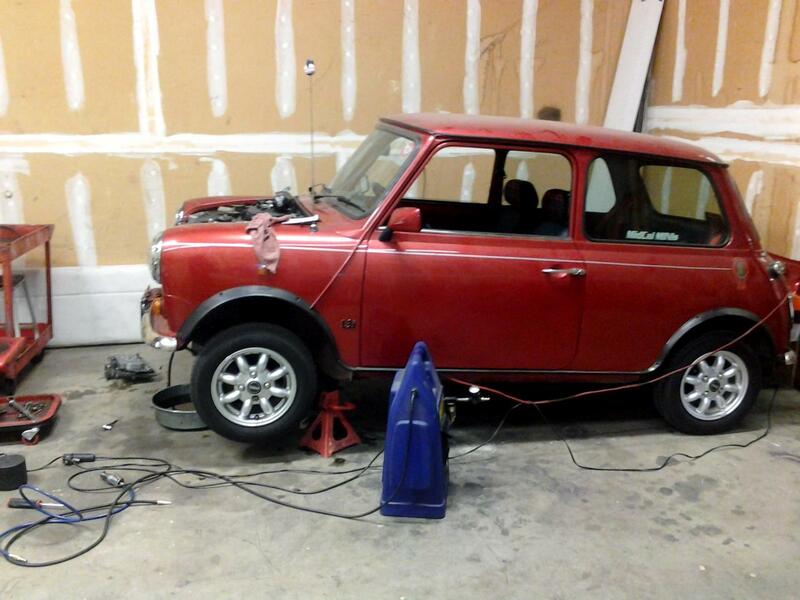 A call was made to Custom MINI Shop (CMS) and Dr. Steve was able to diagnoise her issue over the phone – failure of the thermostate gasket. MINI was sick and she was just trying to let me know, poor baby. Once I assured her that an appointment had been made with her Dr. she seemed much better. Infact she did not leave so much as a droplet on the floor while I was gone. As soon as I returned it was off to Steve’s for the needed repairs. A quick “look-see” also revealed a failed motor mount. (Thank goodness I purchased the extended warranty in August!) 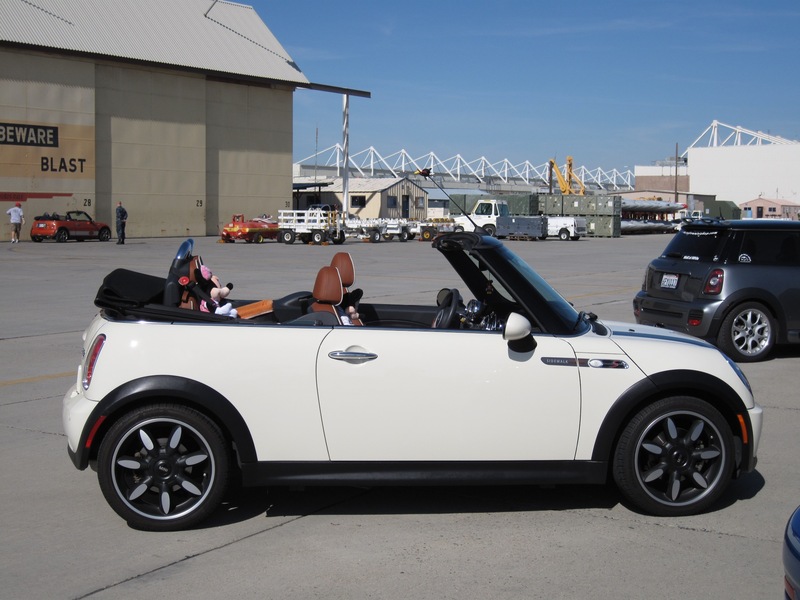 After a little time at the Custom MINI Shop Spa, MINImowse is a new girl. I swear that she has a new “smooth” ride and more pep. 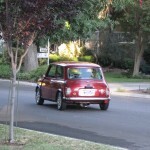 After picking up MINI at CMS it was off to Auto House of Clovis to visit Reggie. 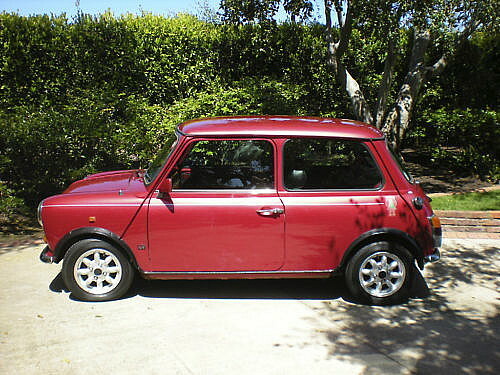 Reggie is MINImowse’s adopted brother; a 1995 Rover Mini. 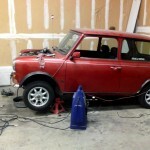 Reggie was adopted in June of last year and is having his transmission rebuilt by Darryl. 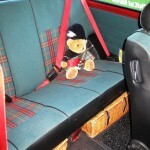 Reggie is a right hand drive Tartan Limited Edition Rover Mini with air conditioning and an automatic transmission. Yes that’s right, an automatic transmission. Darryl had Reggie’s engine and transmission sitting on the workbench ready to be reinstalled. (My gawd it looked more like an oversized lawn mower engine!) Reggie looked quite happy and content and has a great repair bay location; he has access to fresh air and plenty of sunshine. I found Reggie on eBay and after some research discovered that he was built in England and exported to Japan, thus the air conditioning and automatic transmission. In England his brothers and sisters were badged as the Sidewalk but when exported to Japan they were relabeled as the Tartan. I bid on Reggie and initally no one met the Reserve. A day or so later, I received a message through eBay that the seller was willing to accept my high bid. I traveled to La Jolla to pick up the little car and it was love a first sight. Upon driving to Santa Ana the transmission problem presented itself. 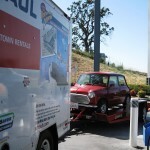 I left the little (un-name at that time) Mini in Santa Ana with family and went back a few weeks later to tow it home. The more research that I did, the name came to me, Sir Reginald Stewart Rover – “Reggie”. 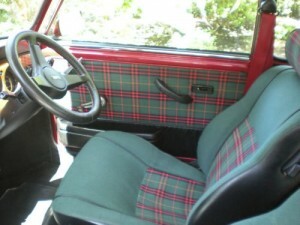 A tribute to his roots in England, recognition of his Tartan interior and of course cudos to his maker – Rover. Thank goodness we found Darryl and Auto House to rebuild his transmission as Reggie is a great little car and just needed a new lease on life. Thank you too to my MidCal MINI family and their help in putting Reggie and Darryl together. So if you wonder why people join MINI/Mini car clubs, it’s for the very reasons I have covered, making friends with folks with the same passion, care and respect for these great little c ars; to enjoy each other’s company, to share events creating great memories and to be there for each other no matter what. So why not start your 2012 off on the right foot (or is that tyre) and join a car club today? 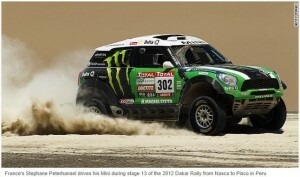 And if you own a MINI/Mini, why not join us?